It's impossible to discuss the luxury card market without mentioning AmEx's Black card, more properly called the Centurion® Card from American Express. Not that there's much point in getting you excited about it. American Express is tight-lipped about the product, but you certainly can't do anything as vulgar as apply for one. Legend has it that the card is available strictly by invitation, and you can get one of those only if you've already spent a fraction of a million dollars on another of the company's products within a previous year -- and are prepared to cough up vertiginous joining and annual fees. But, if you're one of those who regard 99 percent of the richest 1 percent as poor, the benefits a Centurion card brings can easily be worth the fees. It provides a legendary concierge service that can book trips, shop for hard-to-find items, and supposedly obtain unobtainable tables in the most exclusive restaurants -- along with sold-out tickets to all sorts of events. It also delivers VIP privileges, including complimentary use of exclusive airport lounges, upgrades on flights and hotel rooms, and free companion tickets on selected airlines. Oh, and it gives members a uniquely prestigious status symbol. Once you get your head around that, you can see why lesser luxury credit cards are popular -- at least among those whose lifestyles make them valuable and whose pockets make them affordable. Their concierge services may not be quite as obliging or skilled at obtaining the unobtainable as Centurion's, and their privileges might not be quite as lavish, but their fees are lower, and they're accessible to more people -- though mostly only those with great credit. And, while none of them has the cachet that comes from slapping a Black card onto a restaurant table, hotel reception desk or store counter, they can tell your friends and colleagues that you've made it financially. Nearly all luxury cards are designed for those who travel extensively and in style. A few try to rival the Centurion by being invitation-only, and providing exclusive privileges and rewards, but no competitor has yet successfully challenged the leader, and a number seem to have fallen by the wayside in recent years. A sign-up bonus of 40,000 points after you spend $3,000 on purchases on your new card in your first three months of card membership. Membership Rewards, a worthwhile program that makes it easy to redeem points for travel purchases. Statement credits worth up to $200 annually for airline incidental fees like checked baggage fees, flight-change fees and snacks. To receive the statement credit you need to select a qualifying airline. 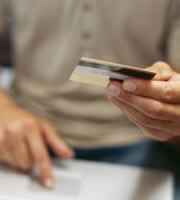 No foreign transaction fees with purchases made on your card. Travel agency and concierge services. Up to $400 a year in credits (when you combine the $300 annual travel credit and a $100 hotel credit on paid stays of two nights or longer) to help with air-travel fees and Ritz-Carlton hotel bills. Complimentary access to LOUNGE CLUB airport lounges. Use of the J.P. Morgan Premier Concierge service. Up to three Ritz-Carlton room upgrades annually (on paid stays of up to seven nights). An abundance of bonus miles: 50,000 after you spend $2,000 on purchases in the first three months your account is open and an additional 5,000 when you add an authorized user and make a purchase in the first three months of opening your account. Your first eligible bag checked free. Two one-time-use passes to United Club airport lounges each year. Double miles for tickets purchased from United, and a mile per dollar for all other purchases. Miles don't expire as long as you're a cardmember. The Ritz-Carlton, Citi and United products are examples of a number of hotel and airline credit cards that offer benefits and privileges in return for annual fees. If you're looking for a bit of luxury -- or want to trade down from your Centurion card -- check out our credit card lists to find the one that suits you best. 0 Responses to "Hey big spender: best luxury credit cards"